Are you dedicated to the art of wine making? 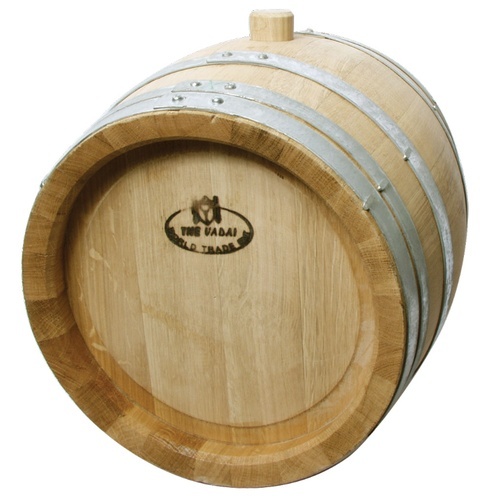 Now you can age your wine like the pros in this quality Hungarian Oak barrel from Vadai. 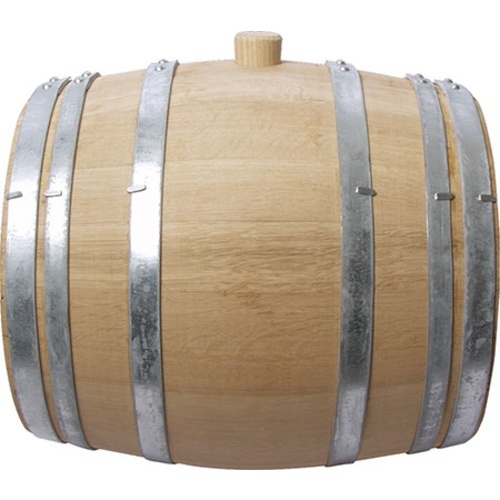 Hungarian barrels have a slightly different shape than French or American barrels. Referred to as gonczi ("goon-see"), it is round and squat with a shorter overall length (as opposed to being drawn-out and oval like their French and American counterparts). This is important to keep in mind when organizing your cellar (stacking barrels, etc.). We recommend cutting your own wooden chocks to keep the barrels in place and raised off the floor during ageing/storage (hardwoods, like oak, are preferred because they are naturally more resistant to bacteria and TCA development). Approximate Dimensions: Head diameter 20.5", Belly Diameter 23.5", Height 25.5". Bung diameter 1 3/4"
Took 3 weeks of work to get the barrel to seal! I followed the sealing instructions from Vadai, and there were multiple leaks on both heads. There were notches that had been filled with a soft filler, and the water would seep through and under the filler. It took about 25 iterations of pumping out the sealing water, drying the leaks, driving in toothpicks, cutting and sanding them flush, applying and drying beeswax, pumping water back in, and waiting 24 hours for the next set of leaks to appear. Not recommended.